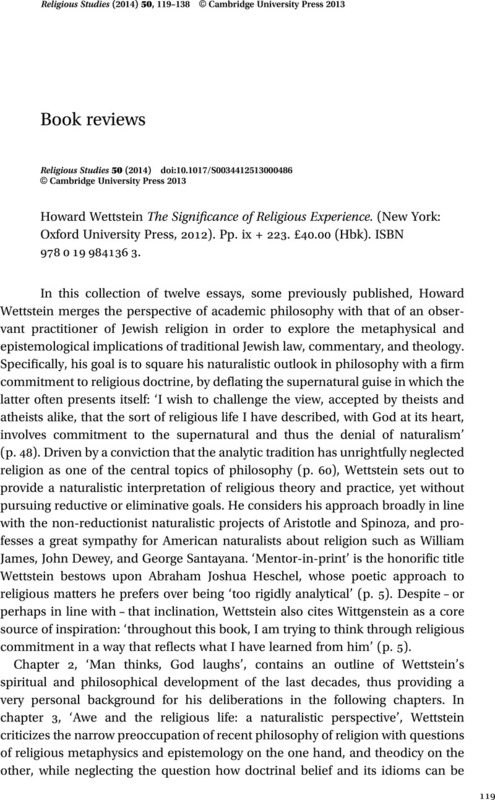 Howard Wettstein The Significance of Religious Experience. (New York: Oxford University Press, 2012). Pp. ix + 223. £40.00 (Hbk). ISBN 978 0 19 984136 3.